CASH4BOOKS® is a service to quickly and easily sell your used books. If you are also interested in buying some quality used books, we invite you to visit our partner website at www.mckenziebooks.com. We specialize in used books. You can be sure that you're getting a bargain when you shop with us! Additional inventory arrives daily. Books come in from Cash4Books.net and they are listed on McKenzieBooks.com on a daily basis. Check in frequently for our recent arrivals! We are committed to exceeding our customers' expectations. As an online book seller since 2001, we have over 100,000 customer feedback ratings and 99% of them are positive. CASH4BOOKS® is the top online book buyer in the world. Online since 2004, Cash4Books.net has purchased over 2 million used books nationwide. 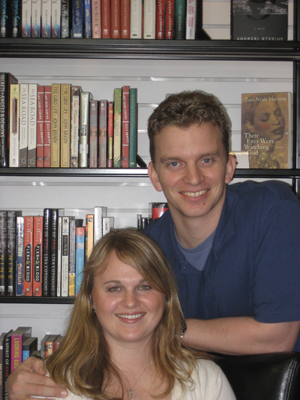 McKenzie Books is about more than just profits. Our favorite non-profit to give to is DonorsChoose.org. We love to support public schools and reading programs. By shopping with us, you are supporting a local small business. We are proud to make efforts towards being a green business, and respecting our environment. Please remember that just the act of buying and selling used books is a form of recycling! To show our commitment to outstanding customer service, we are a member of TrustPilot. You may read our ratings and reviews by clicking on the TrustPilot logo to the right. McKenzieBooks.com is dedicated to enhancing lives by offering educational and entertainment value through quality used and new books. We aim to provide the highest quality customer relations by offering convenience, a reasonable price, accurate descriptions, quality packaging, and timely delivery. Cash4Books.net is committed to providing a simple, secure, and convenient way for anyone to sell their books to us with confidence and receive instant price quotes, fast payment, and exceptional customer service.